Carlo has asked for the Chormborssie tape but in decades of buying, swapping, trading and sharing I have never even got close. 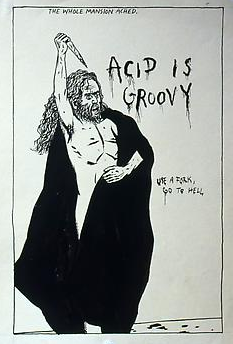 Whilst he probably has this already, I thought I would post it anyway. This is the CD edition released on Dom in 2002 which includes the original LP released on Psychout in 1985 with three tracks released on three compilations in the same year, three previously unreleased tracks and two tracks from the Chormborssie tape. This is probably as close as I will ever get to hearing Chormborssie. 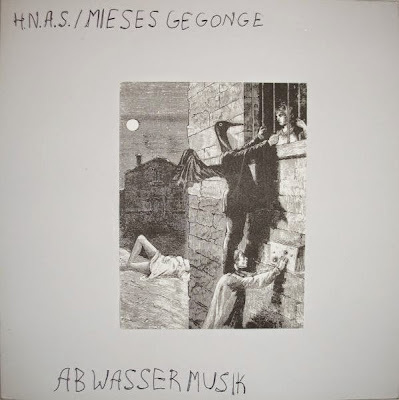 And with information nicked from Discogs: While creating the name for their band (around 1983), members had 2 choices left: HNAS (Hirsche Nicht Aufs Sofa) and Mieses Gegonge, and as P. Li Khan says "as we couldn't agree on one name for the then-imminent Abwassermusik LP, we choose both...leaving the listener alone with the guesses who MG were..."
Well, now you know...but you probably already did. Thank you, I had only the LP version.